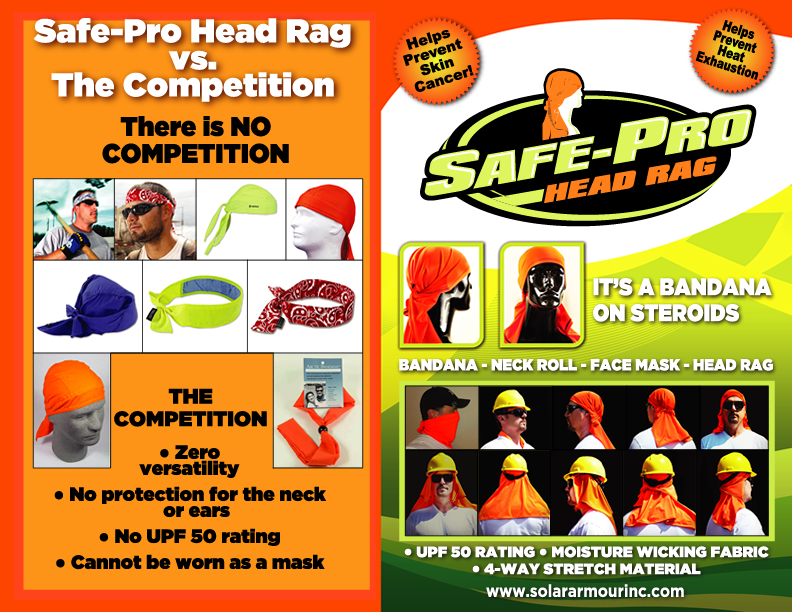 Simply put, The Safe-Pro Head Rag is a bandana on steroids! 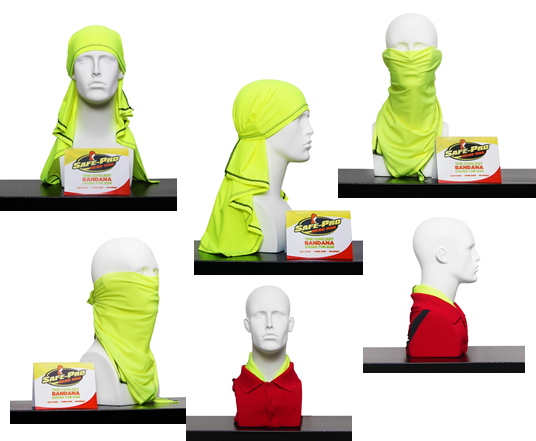 The Safe-Pro Head Rag is made out of a sheer, light weight, 4-way stretch fabric and has a UPF 50+ RATING. This means it blocks 98% of the sun’s damaging rays. In addition to sun protection, the fabric also has a MOISTURE WICKING component that pulls sweat and oils away from the skin. 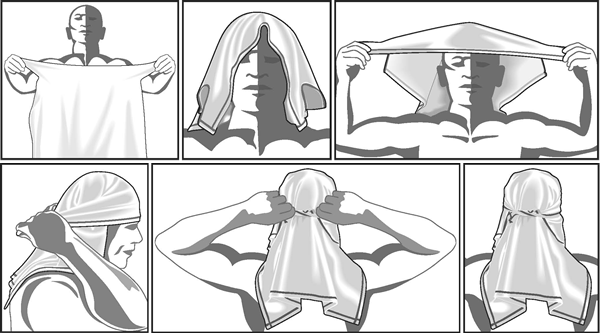 When soaked in water, The Safe-Pro Head Rag stays wet for hours providing even a deeper, all day, cooling effect.